Sami Junnonen — Virtuoso performance. 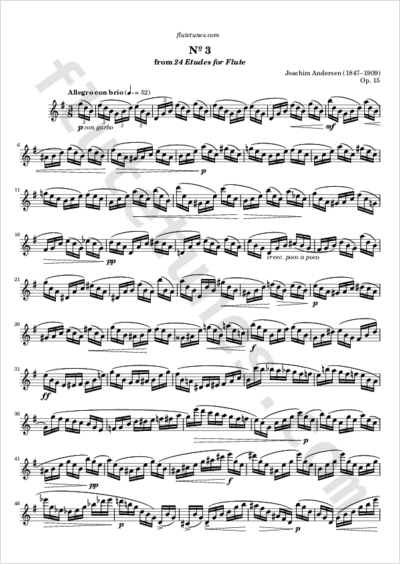 This has to be one of the most beautiful études written for the flute. The only apparent problem is that it is completely made up of sixteenth-note triplets, and has no rests whatsoever. Some advanced flutists play it using circular breathing, but don't worry: if you'll take careful, musical breaths everything will sound just as fine. Thanks to Austin for suggesting this piece!